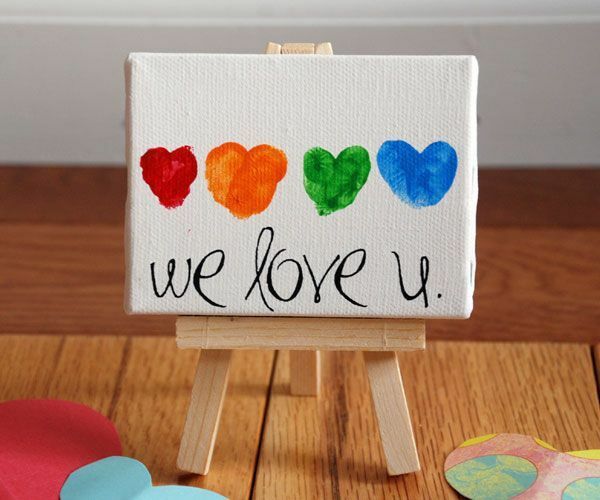 Tell Mom, Dad, Grandma or Grandpa how much they mean with a heartfelt craft made in their honor. This kit allows you to paint small hearts with your fingerprints, giving them a personalized gift that comes from the heart and is unique to the people that create them. The canvas is small, making for the perfect keepsake.